What is a Profiler Template? What are the various types of Templates available within the SQL Server profiler? How to create customized templates? We talked yesterday about SQL Traces and it’s components. SQL Server Profiler ships with templates that define the event classes and data columns to include in traces. It is important to understand that when we execute the SQL Server Profiler, we are capturing a SQL Trace and the template gives body to the trace, i.e. the template is used to represent the events and data columns captured in the trace, but the template is itself never “executed”. SQL Server Profiler offers predefined trace templates that allow you to easily configure the event classes that you will most likely need for specific traces. To view the list of available templates, click on the “New Trace” button on the toolbar, and then expand the “Use the template” drop-down. NOTE: If you are using a version of the SQL Server Profiler that’s different than the SQL Server instance, then the template drop-down may be blank, and you may be required to use a customized template. Below is a brief description of the various template types available in the SQL Server Profiler. To know more about the various Event Classes associated to each, please refer the Books On Line documentation referenced in the “References” section of this post. 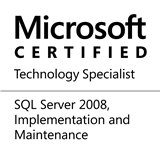 The ones I have used most in my career till date are: TSQL_Duration, TSQL_Locks and TSQL_SPs. Standard This is the default trace. Captures all client-submitted T-SQL statements and the time issued. Use to debug client applications. Captures all client-submitted T-SQL statements, their execution time (in milliseconds), and groups them by duration. Use to identify slow queries. Captures all client-submitted T-SQL statements and the time they were issued. Groups information by user or client that submitted the statement. Use to investigate queries from a particular client or user. TSQL_Locks Captures the client-submitted T-SQL statements and associated exceptional lock information. Use to troubleshoot deadlocks, lock time-out, and lock escalation events. Captures detailed information about Transact-SQL statements that is required if the trace will be replayed. Use to perform iterative tuning, such as benchmark testing. TSQL_SPs Although not the default, this is perhaps the most useful trace for most systems (provided it is not to be replayed). Captures detailed information about all executing stored procedures. Use to analyze the component steps of stored procedures. Add the SP:Recompile event if you suspect that procedures are being recompiled. Captures information about stored procedures and Transact-SQL batch execution. Use to produce trace output that Database Engine Tuning Advisor can use as a workload to tune databases. Go to “Events” tab and add/remove events captured using the “Show All Events” checkbox. NOTE that I have removed a few default events and have added 2 new ones. Check the “Use as a default template for selected server type”. NOTE: You can also use this interface to delete a trace template. In the next post, I will be writing about the various options available to execute the trace. Finally, towards the end of the week we would look at other uses of Profiler (specifically, trace replay). This entry was posted in #SQLServer, Blog, Imported from BeyondRelational and tagged #SQLServer on November 17, 2011 by nakulvachhrajani.